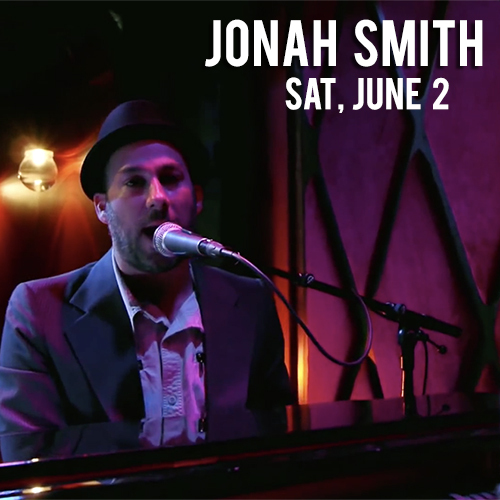 Jonah Smith is a critically acclaimed singer-songwriter that is based in Los Angeles, CA. He pulls from the deep well of American blues and many of its offshoots, including soul, country, and folk. Smith is essentially a songwriter with the voice of a soul singer. In 2014, Jonah Smith auditioned with his band on the NBC show, "America's Got Talent", where he was a semi finalist..He sang his original song Skyscraper Blues and received a standing ovation from judges Howard Stern and Howie Mandel. He has shared the stage with other artists like Los Lobos & Little Feat. He has released several records including the eponymous debut on Relix Records, Lights On, Little Known Cure and In The Kitchen. The new acoustic recording by Jonah Smith, “Stay Close” began in November 2016 shortly after a reunion with Andy Stack that took place in Des Moines, Iowa at The Flying Mango. The concerts, which took place over two nights in late October, were centered around the performance of a new song called “Ocala” -- a song written for Mike Wedeking, a friend and the owner of The Flying Mango. The shows were emotional and reminded Smith and Stack of their special musical bond – a relationship that stretches back over a decade and involves hundreds of concerts and several records. The two, now living on opposite coasts, had been pursuing their own artistic endeavors: Smith became a contestant (and eventually a semi-finalist) on America’s Got Talent and then made a record that was released this past May while Stack opened Buffalo Stack recording studio in Beacon, NY in an old schoolroom to focus on producing music. This old schoolroom became the setting for “Stay Close” – a reference to their finely crafted harmonies – evident throughout these new recording. In order to capture the most honest performances, they decided to record the album on a four-track analog tape machine – an Ampex 440 built in the mid 70’s. They sat facing each other and recorded a set of songs that encompass love, social commentary, philosophy and stories so vivid that you feel like you were there. Overdubs are sparse and are provided by Smith or Stack with the exception of vocal contributions by Andy’s sister, Melissa Ahern, who brings a lovely feminine quality to songs like, “Toast & Clementines” and “Wimberley”. The end result is a record of a time and place – two musicians in a room working to serve the music, telling stories through songs and documenting a musical relationship with deep roots.